The Rolling Stones are working on a new album. The ‘Satisfaction’ hitmakers have spent around three weeks in the recording studio over the last two years working on the follow-up to 2016’s blues covers LP ‘Blue & Lonesome’, and guitarist Keith Richards promised the record will be ”very interesting”. Discussing the possibility of a new album, he said: ”I’m going to sound like Trump — ‘It will happen; don’t worry about it’ — but it’s in the early stages. 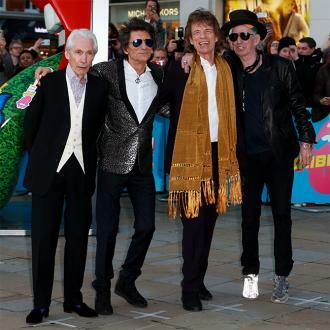 Over the years, the 74-year-old musician has grown to enjoy the ”challenge” of writing music he knows frontman Sir Mick Jagger will be able to ”leap” on and he understands there’s ”no point” in trying to push the singer out of his comfort zone. He told Wall Street Journal magazine: ”Mick and I live off this fire between us. Keith’s comments come just a few days after the group announced their first UK tour dates in five years, which will take place this summer.